Give your office an advantage! IDX management tools save you time while providing valuable assets for your team. Recruit and retain agents with the powerful features they need and the perks they want. Choose IDX Broker solutions and stay ahead of the game using the organizational tools included in every Office Account control panel. Our system is great for alleviating administrative stress so you can sell more homes. Organize all of your staff members and make your office a lead source in a competitive real estate market! Easily add or import your agents and their information to your IDX Broker Platinum office account and edit their bio/contact information, photos and lead routing controls. The best way to ensure agents are working with leads that fit their expertise is to create and Assign Saved Links to agents that specialize in that area, price range, etc. Once they start seeing action, you can log in to keep up with their accounts and browse through activity as they would. Your team/office account also includes tools to promote your talented staff. 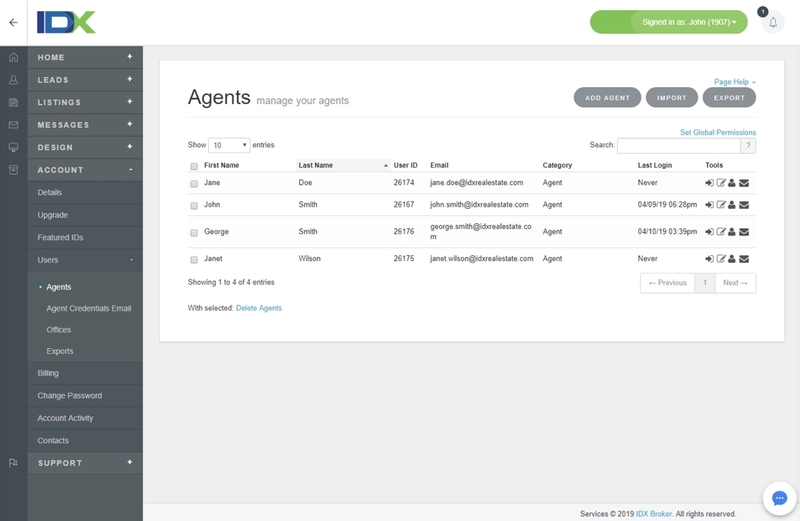 Display your agents all on one page or on their respective office landing pages using your IDX Agent Rosters. 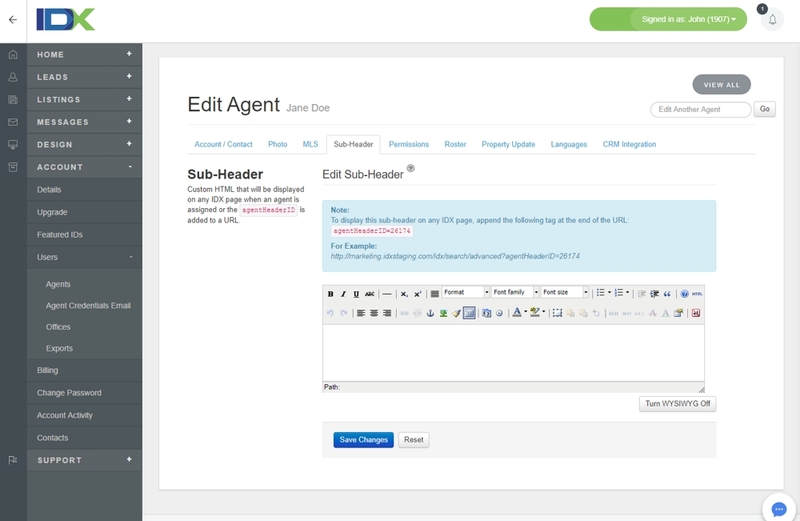 Get creative with custom IDX widgets to create Featured Agent Showcases which rotate through all of your agents and highlight a new one on each page load. Choose to manually assign leads at any point in their home search process. 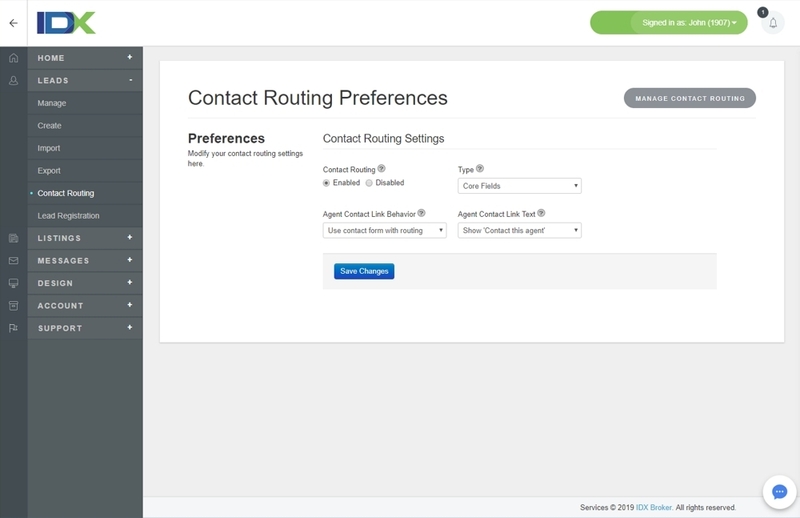 Create Round Robin routing lists that rotate through a roster of agent you select. Set up automated routes based on multiple search criteria (such as price, location, property type and more). Let clients select from a list of your agents when they're filling out a registration form. In addition to these routing options, you can also designate an experienced agent contact for each saved search link you create. Once you have established the routing strategy (or strategies) that work for you, you can set it and forget it!